We are fortunate to live in a generation where exploring the world is as easy as it has ever been. Thanks to the airplane, within 30 hours, we can be anywhere else on the planet, and travel has become far more financially accessible throughout the past century. There was a time when travel was exclusively for the rich. 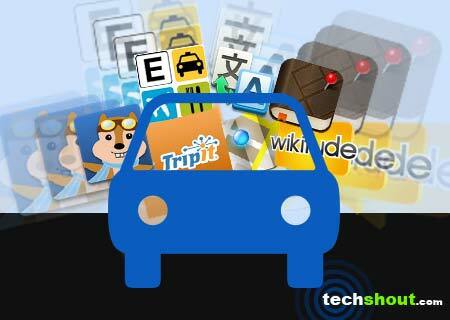 Travel has also made its mark on technology, and travel apps are some of the most popular in the world. In this article, we’re going to look at three elements which we consider to be foundational pillars of how to build a travel app. Without these three features, an app simply won’t feel complete to its users. One of the most crucial parts of a travel app is one that you wouldn’t immediately think of. Booking history is an integral part of any travel app, as it will allow the user to go over their previous voyages and find a place that they liked. This makes it easier to find a place to stay should they ever revisit. A detailed booking history can also help the user keep better track of their finances, as they’ll know exactly how much they spent on their accommodations throughout their trip. While this feature may not be used as frequently as some of the other ones, it is still a fundamental part of any travel app. Of course, travel apps will also need to come installed with a messaging function so that the user can get in touch with the host. Direct messaging through the applications keeps things simple and means that you won’t need to remember the host’s phone number to get in contact with them. Most of the time, a basic messaging system should be sufficient for a travel app, though some of the more advanced ones come equipped with integrated voice and video calling. However, most users will simply communicate through text, and calling features can often be a waste of resources. A travel app would be incomplete without an included review section that will let the user know exactly what to expect from their host. Reviews help users choose the best place to stay based on what others have experienced, and they give the host an incentive to make the experience pleasant for the user. Travel app reviews don’t have to get too detailed, so a few lines of text and a star rating should be more than enough. Reviews also play a key role when it comes to making the service safer, as they can provide warnings to other users about unsafe conditions or other worrying issues. There are quite a few more features that are integral to travel apps, but you’ll find that these three are sometimes forgotten or omitted. We hope that this guide has provided you with a little more information about the development of travel apps.